When buying a home, most people turn to a bank for their mortgage as banks are considered a trustworthy place to consolidate their finances. While your bank of choice may offer, what seems like a competitive mortgage rate, did you know that you can almost always receive a lower rate and exceptional personalized service by using a mortgage broker? Mortgage brokers are certified and licensed professionals who negotiate the most favorable mortgage terms and lowest mortgage rates for their clients. An understanding of your needs and access to multiple lenders means that a mortgage broker will be able to offer you a better rate and more personalized service than a bank. The broker’s ability to leverage existing relationships with multiple lenders means that they have a better chance of negotiating a lower rate than an individual going into their bank themselves would. You may be surprised to learn that 51% of first time home buyers in Canada have used a mortgage broker over choosing a bank (Mortgage Consumer Survey 2016) and this number is steadily increasing year over year. Easy Communication When dealing with a bank, not only is it hard to achieve your goals during their business hours, it can also be difficult to meet with the same bank representative each time. Mortgage brokers simplify this process for you as they come to you. You meet with the same person each time and they speak on your behalf to each lender. Lower Rates Mortgage brokers do not work for the banks, they work for you. This lets them work on your behalf to find the lowest rate and the best terms for your mortgage. Access to multiple lenders means better rates because of higher volume. 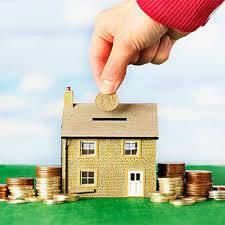 A brokers existing relationship with lenders can also be relied on to get better rates. These savings are then passed onto the customer. No Fees Using a mortgage broker means you do not pay any fees, instead they are paid a finder’s fee by the lender. This means that you get great service at no additional cost to you. Long Term Relationship Mortgage brokers have your best interest in mind. A good mortgage broker will build a long-term relationship with you to ensure you are receiving the best service and rates for your mortgage. This includes check-ins over the duration of your mortgage to evaluate the best time to refinance or how you might be able to pay your home off faster. Every mortgage is different and can present unique challenges or circumstances – this is why at Advanced Mortgage & Lending Solutions, we take the time to educate our clients about mortgages and lending. We want to build a long-term relationship with our clients to provide the best service possible. If you are thinking about buying a new home or are simply interested in how you may be able to improve your existing mortgage, send us an email or give us a call. Advanced Mortgage – Helping You Make Cents of Your Mortgage.